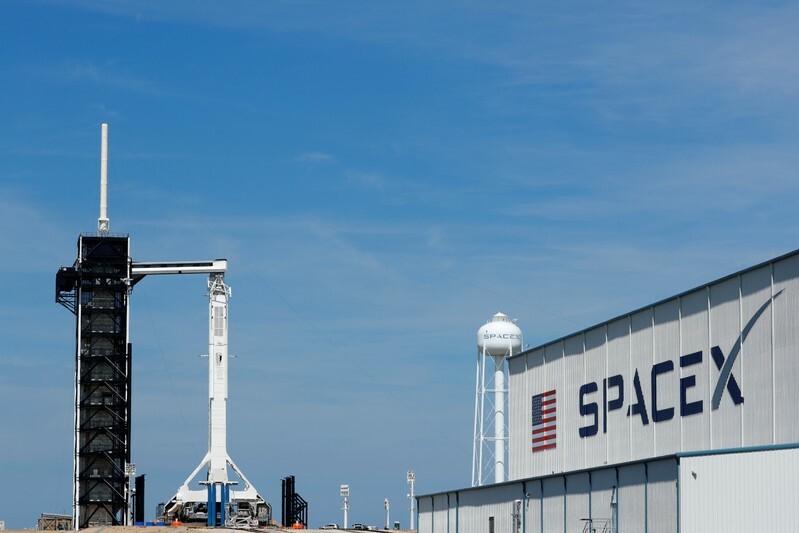 (Reuters) – Elon Musk’s SpaceX suffered an anomaly in one of its Crew Dragon capsules while conducting engine tests at the Cape Canaveral Air Force Station in Florida on Saturday, the company said. “NASA has been notified about the results of the SpaceX Static Fire Test and the anomaly that occurred during the final test,” its administrator Jim Bridenstine said in a tweet https://twitter.com/JimBridenstine/status/1119754804258062337. NASA has awarded SpaceX and Boeing Co a total of $6.8 billion to build competing rocket and capsule systems to launch astronauts into orbit from American soil. 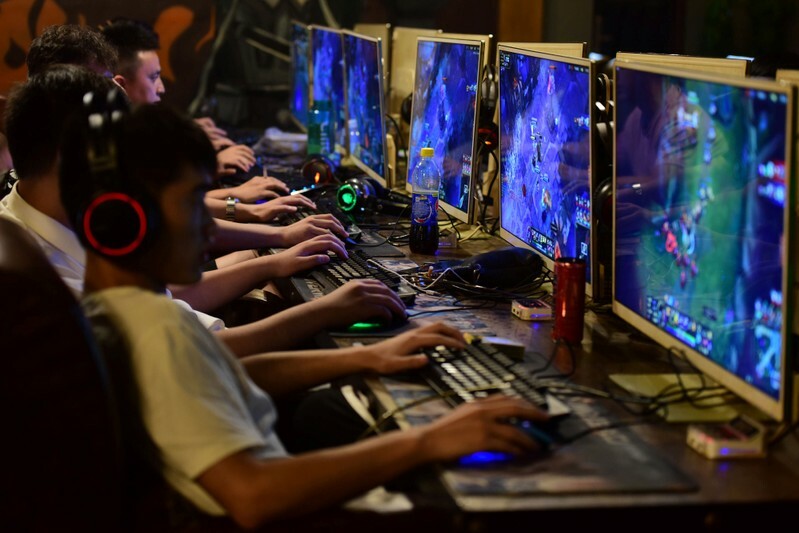 SHANGHAI (Reuters) – China’s press and publication regulator has issued new rules on applications for publishing online games in China, signaling a possible acceleration in the handing out of formal approvals. 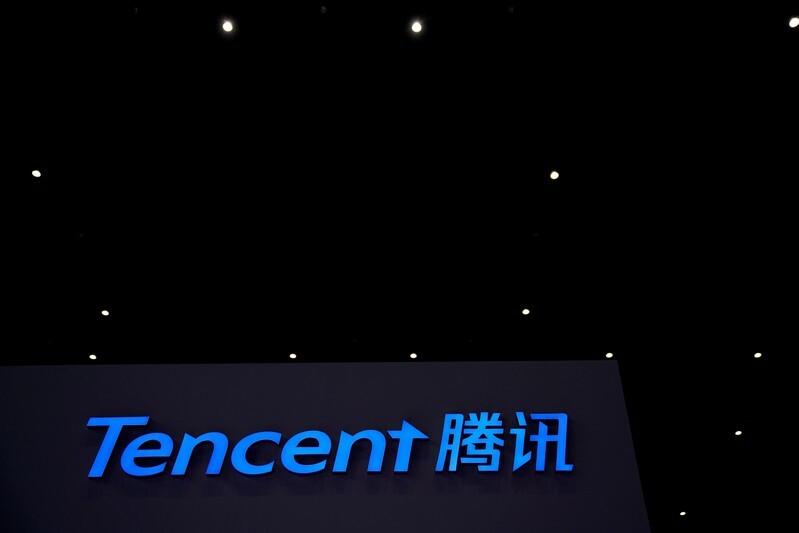 China stopped granting licenses to monetize online games in March 2018, hurting the industry and developers such as Tencent Holdings Ltd and NetEase Inc. It started up approvals again in December, only to ask local governments to pause on submitting applications in February. The State Administration of Press, Publication, Radio, Film and Television released the new rules late on Friday. Under the guidelines, games will undergo content vetting and the number of games allowed on to the market will be controlled. Gaming market research and consulting firm Niko said the administration had explained the new rules to industry insiders earlier in the month, saying it was grinding through a backlog of applications submitted last year. Chinese gaming publishers were being encouraged to develop titles with China’s “core social values” in mind, including games that promote traditional culture, Niko said. Niko said the administration would take new submissions from Monday, April 22, under the new application process. “With a new more transparent approval process set to go live soon, we have a positive outlook for China’s digital games market in 2019,” it said. MOSCOW (Reuters) – After Western sanctions gutted Russia’s financial system five years ago, a new bank card began appearing in the wallets of many Russians. 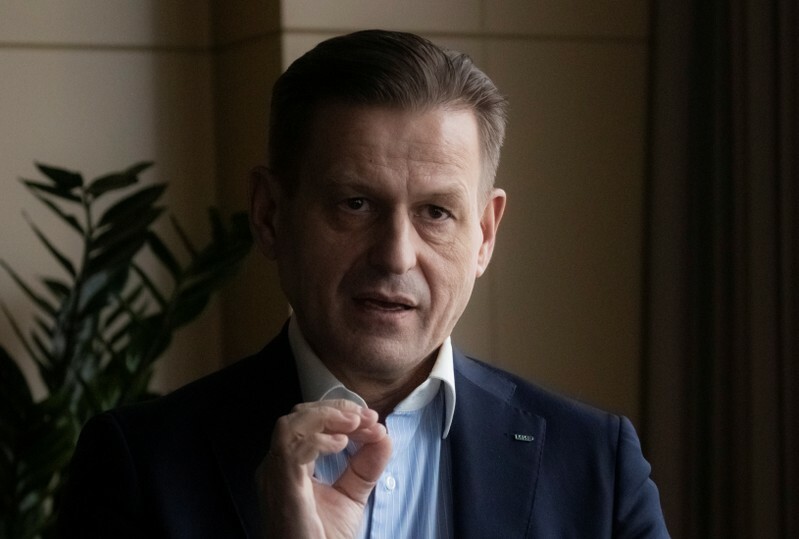 Now the country is hoping to introduce its cards, known as Mir cards, to foreign markets where Russian nationals live and travel, Vladimir Komlev, the head of Russia’s National Card Payment System (NSPK), told Reuters in an interview. Russia created its own card payment system in 2014 because it feared U.S. and European sanctions against some Russian banks and businesspeople over the annexation of Crimea could block transactions made with U.S.-based Mastercard and Visa. NSPK said Turkey’s Isbank had started accepting Mir cards as of Thursday. Russians made 5.7 million trips to Turkey last year, according to state statistics agency Rosstat. Komlev projected Mir cards would be operational at some banks in 12 foreign countries by the end of the year. He would not, however, disclose which countries those might be. NSPK is not subject to Western sanctions, but some foreign companies are wary of doing business with Russian firms in case further restrictions are put in place. More than 56 million Mir cards have been issued and they currently make up more than 20 percent of Russia’s bank card market, Komlev said. Mir means “World” or “Peace” in Russian. NSPK, which was created by the central bank, has received a boost from legislation obliging civil servants to receive their salaries on Mir cards. It aims for Mir cards’ share of the market to reach 30 percent over the next couple of years. Starting next year, pension payments, as well as child and unemployment benefits, will only be paid on the cards. These measures have made Mir a rival to Mastercard and Visa in Russia. But its shortcomings – its incompatibility with many international shopping platforms and its limited use outside Russia – have prompted Russian officials to call for more support to help it to take on U.S. competitors. Mastercard, which operates a co-branded card with Mir, said it “supported the development of the payment industry and fair competition.” Visa did not reply to a request for comment. Mir has develop its own “Mir Pay” smartphone application and is available on Samsung Pay. Komlev said NSPK had not reached an agreement with Apple to make Mir cards available on its mobile payment platform. Komlev said another of NSPK’s priorities was to get major international online booking services for airline tickets and accommodation to accept Mir cards. “Business and geopolitics have mixed here, so it’s not as easy to implement as we would like,” he said. 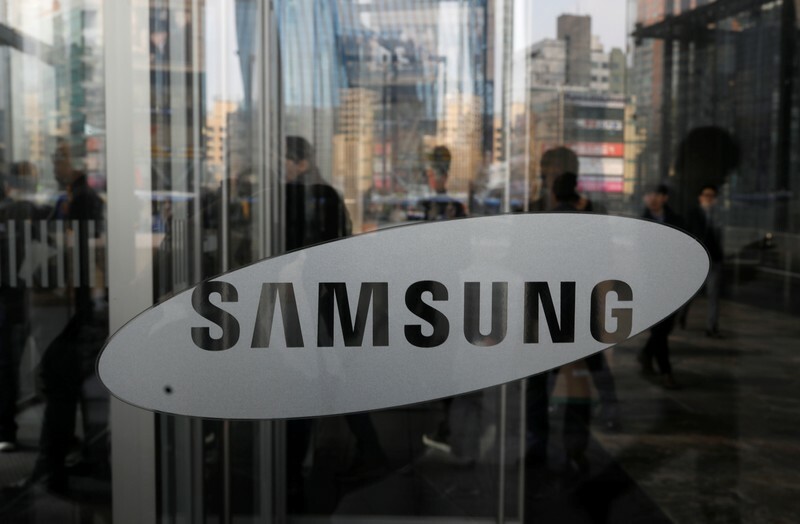 PARIS (Reuters) – Samsung Electronics could become one of Orange’s providers for a possible 5G telecoms frequency in France, said Orange’s head Stephane Richard on Thursday. France’s 5G telecoms frequencies auction should start later this year. France’s four main telecoms operators – leader Orange, Bouygues Telecom, Altice Europe’s SFR and Iliad – regularly compete in costly spectrum auctions, which allow wireless carriers to develop networks. 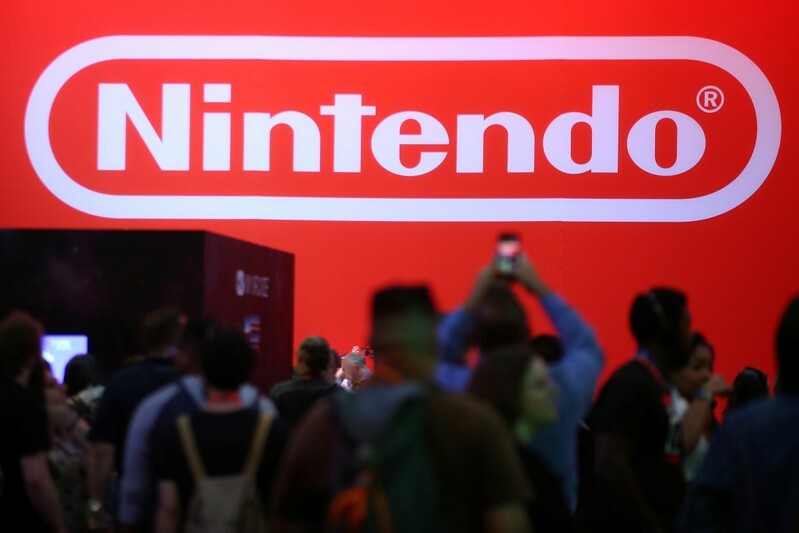 SHANGHAI (Reuters) – China’s Guangdong provincial authority has given the green light to Tencent Holdings to distribute the Nintendo Switch “New Super Mario Bros. U Deluxe” game, according to a statement published on the local government’s website on Thursday. Nintendo’s Switch console has to date not been officially released in the country. 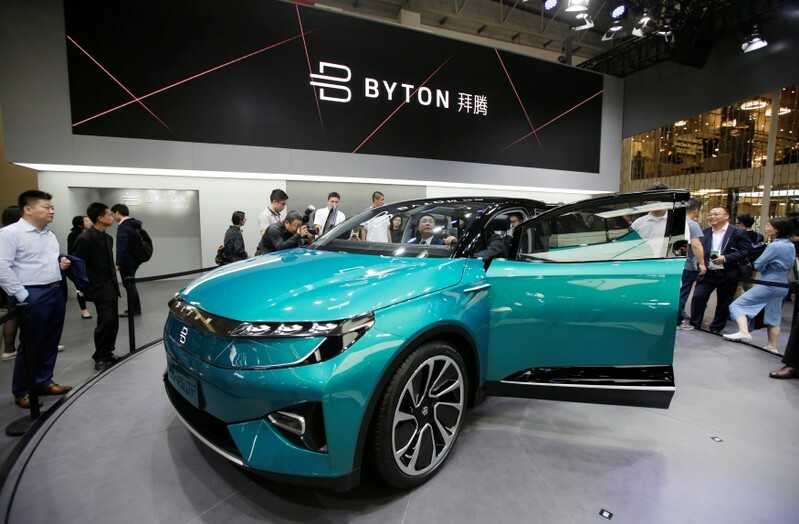 SHANGHAI (Reuters) – Chinese electric vehicle (EV) maker Byton, which is facing a management shake-up and questions about funding an expansion, said it has received over 50,000 orders globally for its new SUV model and plans to start production at the end of this year. “We plan to launch our first production car this July,” Daniel Kirchert, Byton’s co-founder and CEO told Reuters in an interview on Thursday, adding that the company aims to manufacture 10,000 units by the first half of 2020. Byton’s backers include Chinese retailer Suning, automaker FAW and Contemporary Amperex Technology Co.
Kirchert’s comments, coinciding with the Shanghai Autoshow, come just days after chairman and co-founder Carsten Breitfeld quit Byton. German daily Handelsblatt said Breitfeld is joining Byton’s domestic rival Iconiq. Another German publication, Manager Magazin, said earlier that Breitfeld’s looming departure was due to trouble funding its planned expansion in the Chinese market, causing tensions inside the company. Kirchert confirmed the former chairman’s departure and said: “Byton has already got very strong resources, and there are 1,800 employees working on different areas including internet connectivity, engineering research and development. “We are in the middle of a new round of fundraising, which will be of similar amount to B round. We aim to finish C round around the middle of this year.” Byton had raised $500 million in the series B round last year. Byton, which runs offices in China, the United States and Germany, is one of several largely Chinese-funded EV startups betting on the benefits of local production to compete with Tesla Inc and other auto giants. Its local rivals include Nasdaq-listed NIO Inc and Xpeng Motors, backed by Alibaba Group. Byton aims to hit the 100,000 unit production level around 2021-2022, he said. The 10,000 and 100,000 unit marks are widely regarded as key production milestones for electric vehicle makers. “Only by large-scale production can we reduce costs and provide affordable prices” he said. Byton is building its first plant in Nanjing in eastern China with a planned annual capacity of 150,000 units in its initial phase. China’s auto sales contracted for the first time last year since the 1990s amid a broader economic slowdown but sales of new energy vehicles (NEVs), which include electric vehicles, have remained a bright spot. In March, NEV sales rose 85.4 percent. PARIS (Reuters) – Four decades after R2-D2 delivered a vital message from Princess Leia in the hit movie “Star Wars”, a French supermarket group plans to use robots inspired by the drum-shaped droid to transport food to customers in Paris. Stepping up the race for automated deliveries with online retailers such as Amazon, Casino’s Franprix chain will test the delivery robots on the streets of Paris’s 13th arrondissement for a year. In the French capital, where Amazon has been running its Amazon Prime Now express delivery service since 2016, the speedy and convenient delivery of food has become a battleground among retailers. “This droid will facilitate the life of city dwellers. The last mile delivery is crucial. This is what builds the relationship with customers,” Franprix Managing Director Jean-Pierre Mochet said of the service, which will be free. Franprix and its partner, French start-up TwinswHeel which developed the as yet unnamed robot, are running the test after the city’s authorities approved the southeastern arrondissement for the experiment. The electric vehicles have two large wheels, a suitcase of either 30 or 40 litres and can run for 25km (15 miles). 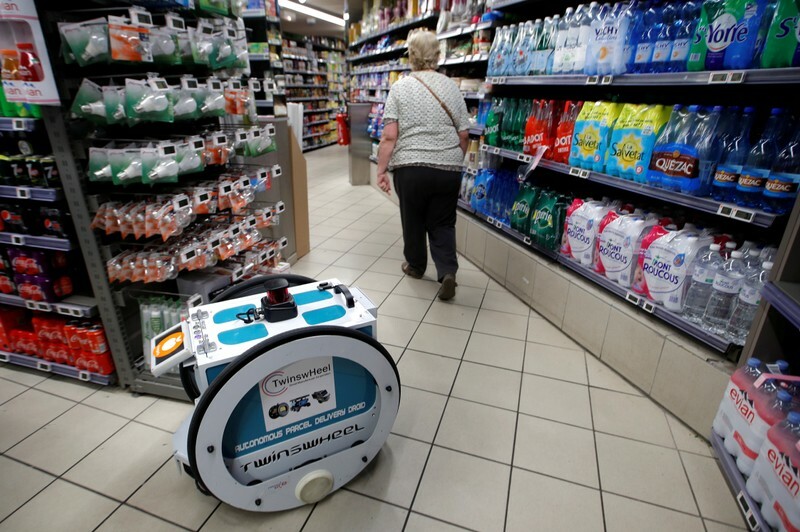 In the initial trial, Franprix will use the robot in store to carry purchases for customers – mainly people with reduced mobility or the elderly – and take the goods to their homes. Using a “Follow Me” button on the machine, the robot is paired with customers through visual recognition, so it can follow them in store and on the street. Initially, the robot will not go on the streets on its own, but will be followed by an operator because Franprix does not have permission for the machine to travel solo yet. For that, legislation needs to be changed, Mochet said, adding he hoped that would happen soon. In future, Franprix and TwinswHeel hope customers will be able to order goods online or in store, and the droid will take them to shoppers’ homes and announce its arrival by text. The message will include a code so customers can unlock the robot’s suitcase and unpack the goods. Larger robots could also be used by store staff to re-stock shelves. Franprix, which made 1.6 billion euros ($1.8 billion) of sales last year from its network of 900 stores, is not alone with its experiment. Last year, U.S. grocery giant Kroger launched an automated delivery trial in partnership with driverless delivery firm Nuro. Having completed the first phase in Scottsdale, Arizona, it recently announced plans to transfer the program to Houston, Texas. In Britain, Tesco and Co-op are testing a six-wheeled delivery robot in Milton Keynes with Starship Technologies. TAIPEI (Reuters) – TSMC, the world’s largest contract chipmaker, posted on Thursday its steepest profit decline in over seven years in the first quarter of the year, amid fears about the impact that slowing electronics demand could have on its business. TSMC, formally Taiwan Semiconductor Manufacturing Co Ltd, posted net profit of T$61.4 billion ($1.99 billion) for January-March, 31.6 percent less than a year earlier, and the steepest fall since the third quarter of 2011. The result also lagged the T$64.3 billion average of 21 analyst estimates compiled by Refinitiv. The company, a proxy for global technology demand as its clients include iPhone maker Apple Inc, Qualcomm Inc and Huawei Technologies Co Ltd, forecast second-quarter revenue of $7.55 billion to $7.65 billion. That would be 2.5 percent to 3.8 percent lower than the year earlier. It also forecast gross margin for the second quarter of 43 percent to 45 percent, while operating margin will be 31 percent to 33 percent, compared with 47.8 percent and 36.2 percent a year earlier, respectively. The forecast comes as investors fret about a global tech slowdown after chip suppliers including Samsung Electronics Co Ltd recently flagged weak demand. Slowing global demand for smartphones, as well as concerns over the prolonged U.S.-China trade war, has also taken a toll on Taiwan’s supply chain manufacturers. 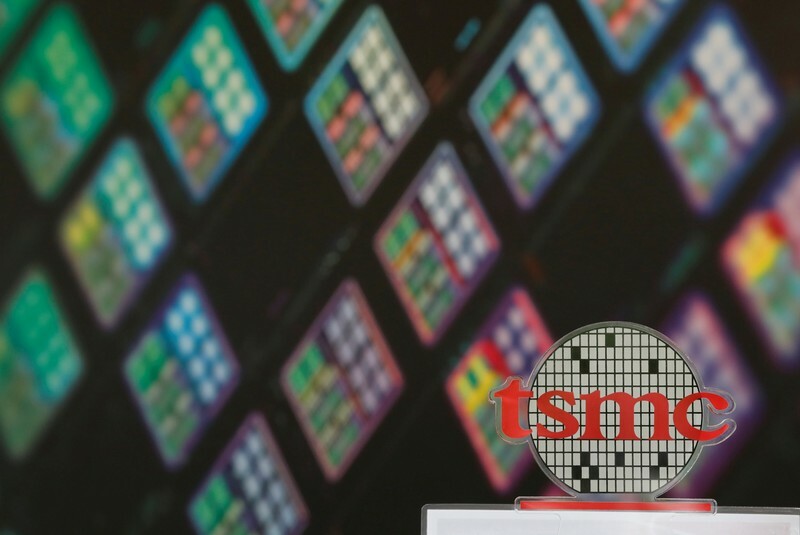 Analysts said TSMC would gradually recover from sluggish smartphone sales in coming months and new demand including for devices equipped with fifth-generation (5G) communications technology could help keep full-year revenue at least broadly flat. “Fortunately 5G should put TSMC back to growth and help it deliver double-digit earnings per share expansion in 2020 and 2021,” Mark Li, an analyst at Sanford C. Bernstein, wrote in a research note prior to the earnings announcement. Analysts said TSMC could also benefit from Chinese clients stocking up on semiconductor products in case of any adverse outcome from the U.S.-China trade negotiations. Revenue in U.S. dollar terms fell 16.1 percent to $7.1 billion in the first quarter, versus the company’s previously estimated range of $7.0 billion to $7.1 billion, and compared with the $7.15 billion average of 22 analyst estimates. Prior to the earnings announcement, shares in TSMC closed up 1.15 percent versus a 0.6 percent fall in the wider market. The stock has risen around 18 percent so far this year. 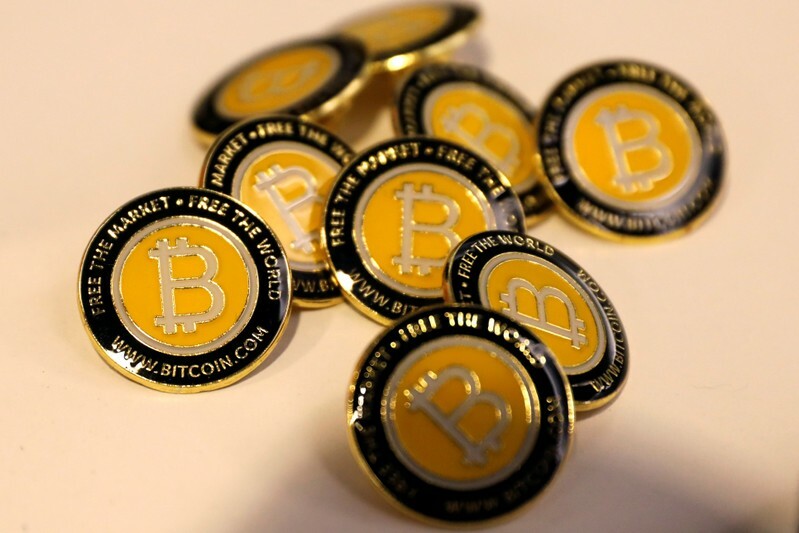 LONDON (Reuters) – Major finance and tech firms are pouring money into startups building technology to develop the crypto market, even though they’re steering clear of the volatile currencies themselves.